ADDING A PATIO TO YOUR yard is a great way to make use of what might otherwise be a section of your lawn. Having a patio gives you a place to relax in the sun, enjoy a cup of coffee in the morning or a chilled glass of wine in the evening. But, just knowing you want a patio is only the beginning. 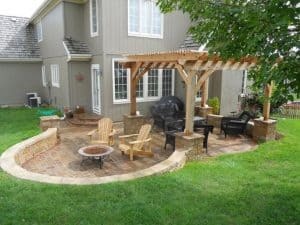 Do you know what size patio you want, what you want to be able to do on your patio, how to build it, or what amenities you want on your patio? It took me a while to determine how I wanted to build my patio. In the end I settled for a large brick patio with a roof. The roof keeps the sun and rain out. It also protects my outdoor kitchen that can feed my family and friends on the weekends. To help you with your outdoor kitchen ideas, here are some examples of what others have done. Just because you have a small patio to work with, doesn’t mean you can't make the most of the space you have. 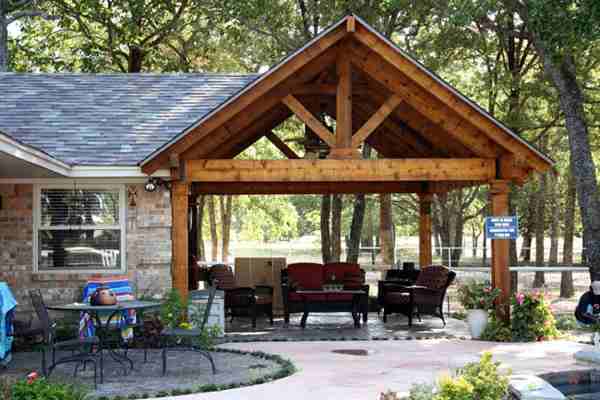 Consider adding furniture and a fire pit to give you somewhere to spend evenings year-round. Maybe add a pergola to keep the rain or sun at bay. 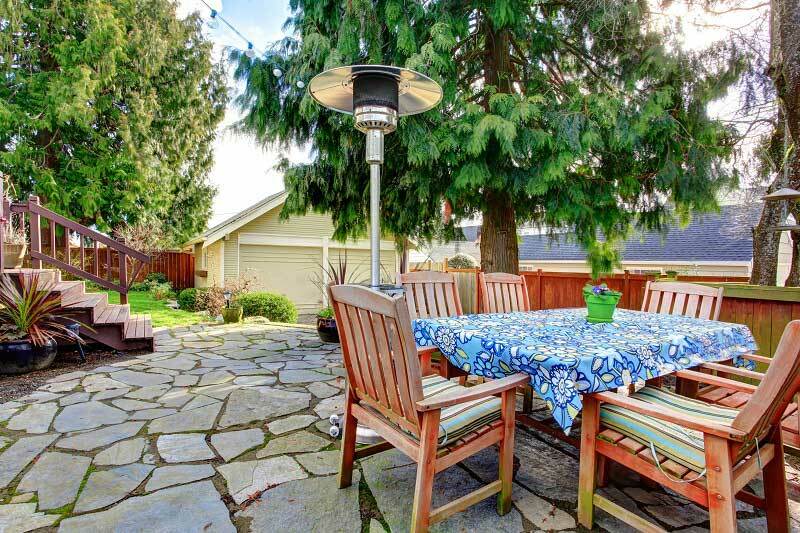 If you live in an area where it gets cold in the winter, you can always add a patio heater along with the fire pit to keep everyone comfortable. 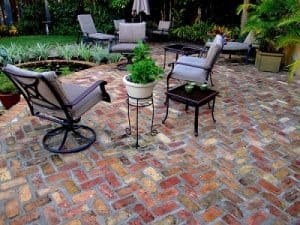 Brick is one of the most popular materials to be used in building a patio. Not only does brick look amazing, it can be arranged in a wide range of patterns and better yet, bricks come in an incredible variety of colors, sizes, and shapes. While it might take you more time to build a top-quality brick patio, the resulting patio will last for many years and can look nothing less than magnificent when they are done. Consider using different colored bricks to create a mandala-like pattern or perhaps even an outdoor game-board the whole family can enjoy. 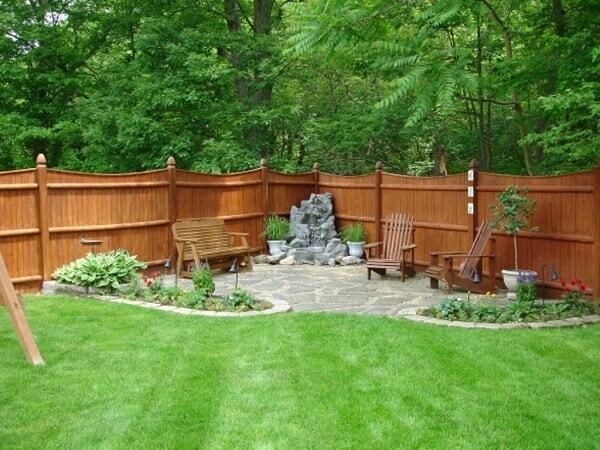 Just because you are working on a tight budget, doesn’t mean you can't still have a nice patio in your backyard. There are several ways you can keep costs under control and still end up with a lovely patio for your family. For example, with a little looking around, you might be amazed at how many places near you sell used construction materials such as bricks, pavers, lumber, railroad ties, and more. These are a great way to save money on your patio project. Alternatively, you might consider purchasing resin boards instead of lumber. Not only do they often cost less, but they require virtually no maintenance and will last for many years. One of the wonderful things about today's concrete is that it comes in an incredible array of colors. Why not choose a color that complements the outside of your home? Many experienced concrete specialists can create different patterns in the concrete and make your patio look like it has been tiled, has a wood grain-like finish, or create unique patterns to your specs. This is your chance to create a long-lasting patio that will stay looking good for many years to come. While it is always nice to spend time out in the sun, your patio needs to be your shady oasis from the sun. There are a number of ways you can do this, including both temporary and permanent methods. For example, if you are looking for temporary shade, why not add a table with an umbrella or perhaps a free-standing umbrella. If you are more interested in creating permanent shade, you could build a roof over your porch or perhaps a pergola with or without a roof. Each of these ideas offers you a good way to add shade to your porch. There are many ways to put a lid on your patio based on where it is located, how big it is, and of course where you live. For example, if you live in Florida, your patio cover needs to be able to block the sun and rain, but it doesn't need to hold the weight of snow. Conversely, if you live in Montana, your patio cover better be strong enough to handle several inches of snow. The same applies to the materials you choose, corrugated fiberglass might work well in Florida, but unless you build a very strong framework under it, most likely would not survive a single winter in Montana. If your porch is only usable during the daylight hours, you are missing. There are so many different ways you can add lights to your porch to choose from. 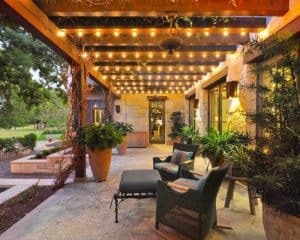 Why not add string lights to your porch, they add plenty of light and atmosphere and come in a virtually endless range of colors. No power to your porch, why not try a string of candle-powered lanterns instead. Or perhaps battery-powered LED lanterns. You can use landscape lighting like those lining your driveway, or spotlights to showcase your hard work, the possibilities are endless. 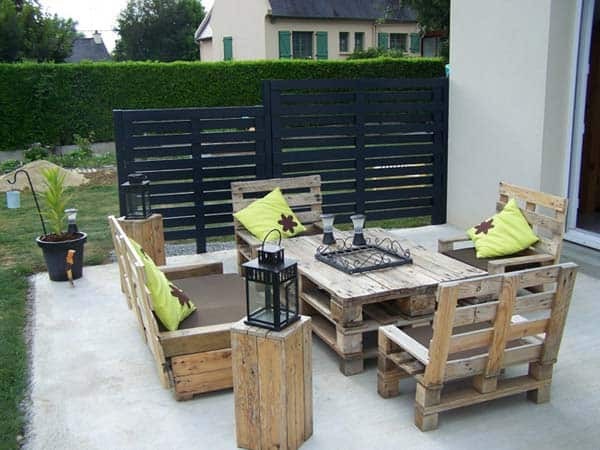 You might be amazed what you can do with your patio with the right furniture. 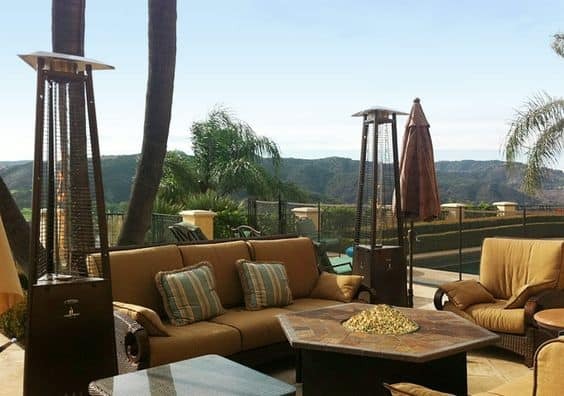 You can literally turn your patio into an outdoor living room, bedroom, play area, bar, or kitchen with the right furniture and accessories. 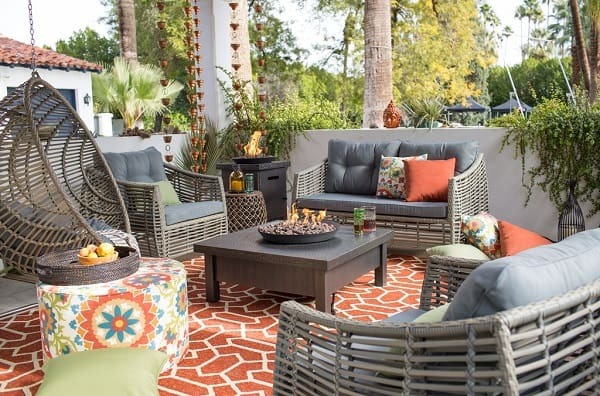 Wicker and resin wicker are among the most popular types of furniture for outdoor use. Wood furniture is also very popular, in particular, Shaker style furniture. You can add a few throw pillows and potted plants, even add an outdoor rug to define your porch space while adding in a few creature comforts. No matter where you live in the U.S. evenings can become chilly or cold, leaving you with a patio that can only be used during daylight hours and spends evenings empty. That is unless you add some form of heat to your patio. Patio heaters come in a wide range of styles, sizes, and forms of fuel. They can be freestanding, wall mounted, or site built. Porch heaters can be powered by electricity, propane, kerosene, natural gas, coal, or wood. Adding heat to your porch can turn it into a year-round place to spend quality family time or plan a few parties. The most important thing about concrete pavers is that they come in an almost unlimited range of colors, shapes, and sizes. You can use them to create an incredible range of patterns and designs ranging from simple geometric patterns to adding bands of color to accentuate the rest of the pattern. Why not use strips of grass to add even more color to your patio? The best thing about pavers is you can choose the colors that best accentuate your home and the area you live in or go all out and create your own psychedelic mandala pattern. Only you can truly know why you decided to build a patio in your backyard. 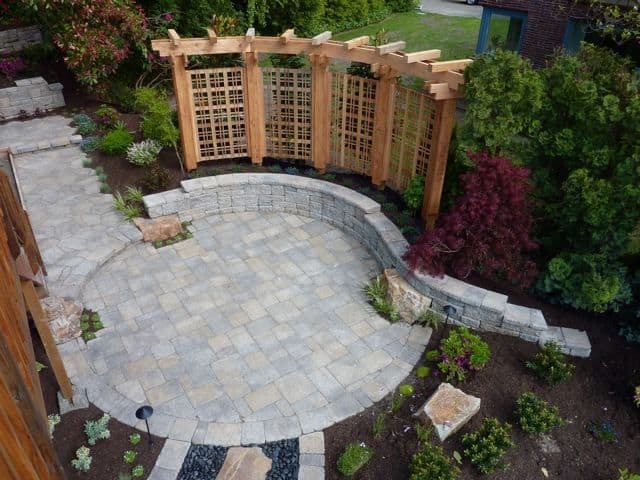 There are so many different approaches you can take in the construction of your patio or work with the one you have. Maybe building yourself a secret garden, making it a formal outdoor space for hosting dinners and parties, or perhaps create a rustic chic space for your family to relax. 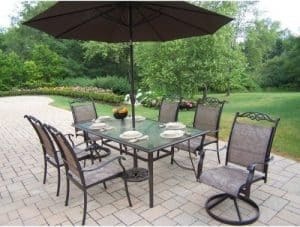 To help decide what you want your patio to look like, you first need to know how you plan to use it, then start looking at furniture and accessories to fit in with this plan. 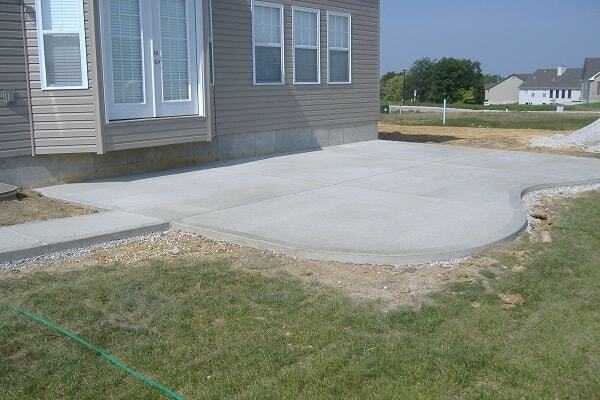 Just because your patio is outside, doesn't mean it should be nothing more than a flat concrete slab. Instead, it should be a place where you and your family can spend time together. One of the most popular outdoor patio ideas is to create an outdoor living room complete with a loveseat, two chairs, and a firepit. In fact, firepits have become one of the most popular patio accessories in the country. 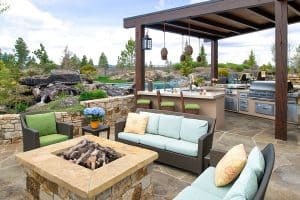 An outdoor patio is also the perfect place to build an outdoor kitchen that can be used for family events or staging a party for your friends. Without adding your own personal decorating touches, your porch is little more than a flat slab that no one really wants to use. But, if you add potted plants, a little furniture, and perhaps a few lights, you turn it into a completely different world. 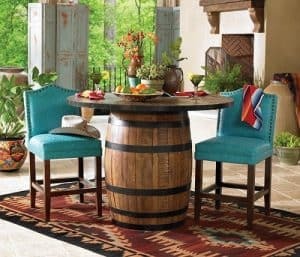 Rather than running out to your local furniture store, why not get creative and make use of unusual items to decorate your porch, make tables out of wood barrels cut in half with a sheet of glass for the top. There are plenty of outdoor rugs you can use, an incredible array of outdoor furniture to choose from, rain barrels, hammocks, flowers, plants, and more. Why not go crazy and let the interior decorator in you go wild. Okay, so Florida is not the only state where people have enclosed patios. 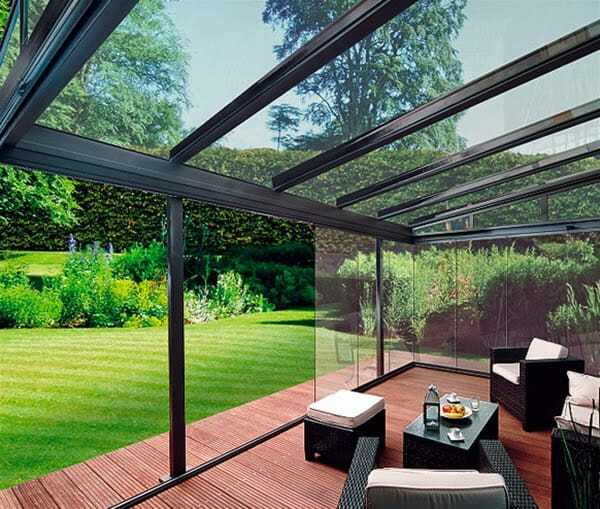 In fact, having an enclosed patio is a lot like having an extra room in your home. You can furnish it like a living room, a den, or even a study. I have a few friends who use their enclosed porches as bedrooms during the summer. Add a ceiling fan or two to help keep things cooled down in the summer. A wood stove can help in the winter. Carpet adds a nice touch as does plenty of comfortable furniture. 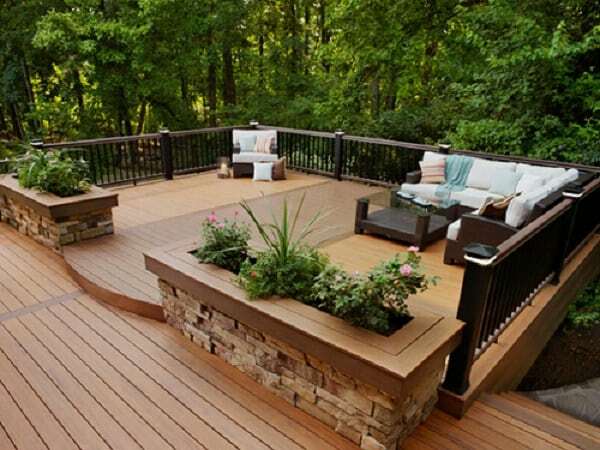 A patio does not have to be flat on the ground, in fact, there is no reason why you can't treat your deck just like a patio. I started out with a deck and turned it into an outdoor porch paradise over the course of a couple of summers. I started with a resin “lumber” deck that was pretty boring, added some raised garden beds, a firepit, and a center raised garden with several perennials in it. My next project is to build a roof over it and add an outdoor kitchen. Having a porch out in your backyard can be seen as the start of something good. It gives you a special place to turn into an outdoor recreation space for your entire family to enjoy. The number of things you can do with this space is virtually endless limited only by your imagination… And your financial resources. My personal suggestion is to start with what you think your patio will be used for. Then draw up a few plans to work with. I hope you have learned something about making your patio into something amazing.